Oxfordischer Film "Nothing Is Truer Than Truth" veröffentlicht. 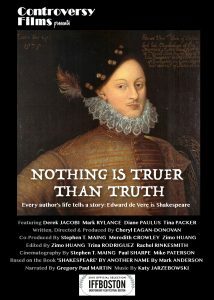 Nothing is Truer than Truth, the Controversy Films documentary about Shakespeare’s identity and the life of Edward de Vere, will be released by distributor Gravitas Ventures on February 12th, 2019. The film will be released on iTunes and many other platforms, including Comcast, Verizon, and Dish Network in the U.S., Shaw and EastLink TV in Canada, as well as Google Play, You Tube, Amazon Prime, Microsoft, and Vimeo. Nothing Is Truer than Truth will also be released on DVD and Blu-ray on February 12th, and will be available from retailers Amazon, Barnes & Noble, Best Buy, Target, and Walmart and at public libraries across the U.S. and Canada. View the trailer for the film here. 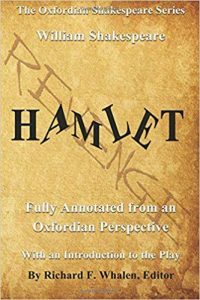 Our first guest Bryan Wildenthal, Vice President of the Shakespeare Oxford Fellowship, joins Steven to help introduce the Shakespeare Authorship Question; its foundations, and the meteoric rise of a top candidate as the true writer. Did the Man From Stratford Really Write the Plays? Shakespeare Authorship Question: Is the Birthplace Trust Trustworthy?